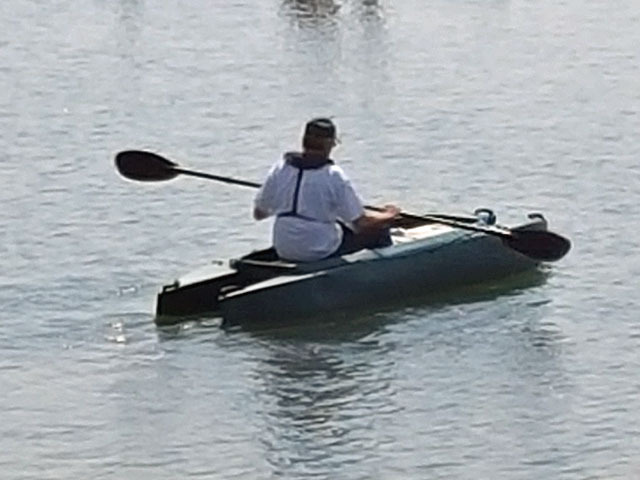 I have done a lot of research before deciding on this product, and I believe that my wife and I will enjoy fishing together in this amazing kayak. I received my Wavewalk 700 this last Friday. 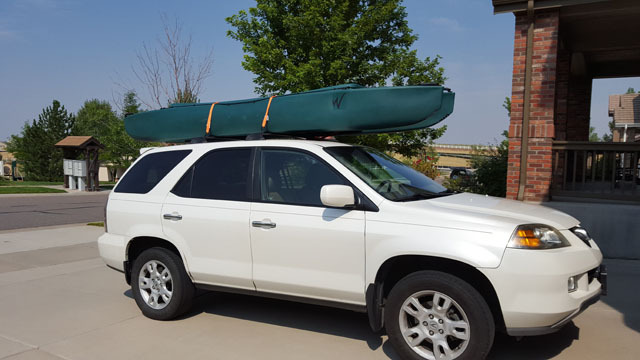 Over the weekend I put the 700 on top of my SUV and went to the nearest lake to try it out. The kayak is all pros and no cons! 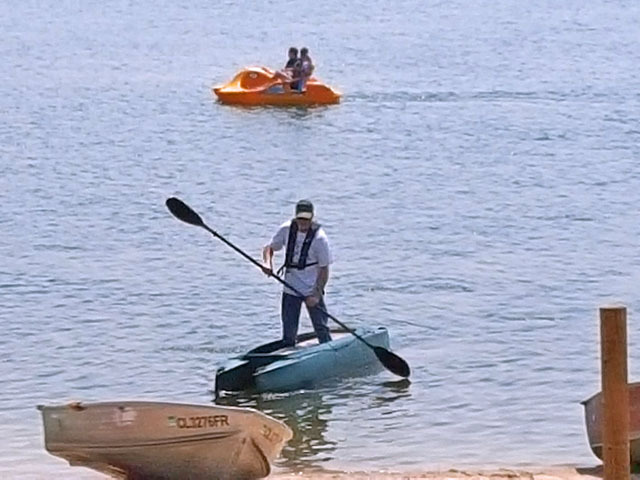 It was so stable that I was standing and paddling within the first 30 minutes! I took the kayak into shallow water full of weeds (some were sticking up out of the water) and didn’t have any problems. Finally I decided to do some fishing and I love the fact that there is a large table in the boat for me to use (of course I mean the saddle) while fishing. I plan to get a GPS/Fish Finder and an electric trolling motor soon. This boat is going to be perfect for my needs and I look forward to its use in the years to come. I will be spreading the word to all my friends and fishing buddies about this amazing Wavewalk kayak! 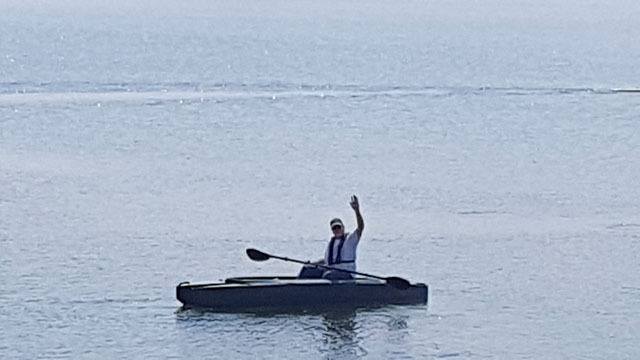 Here are some photos that were taken by my wife during my maiden voyage of my kayak. You just start by putting the ropes or straps around the middle of the crossbars, then you upload the boat, and then you attach the ropes / straps as shown. the advantage here is that you don’t have to use that much force to keep the boat in its place, and you don’t put much pressure on it. Can’t wait to see more after you slime her good with some fish. Don’t rule out an outboard motor, no heavy batteries to deal with. I had my W300 set up with electric trolling motor, which I sold to a retired gentleman who loves it. 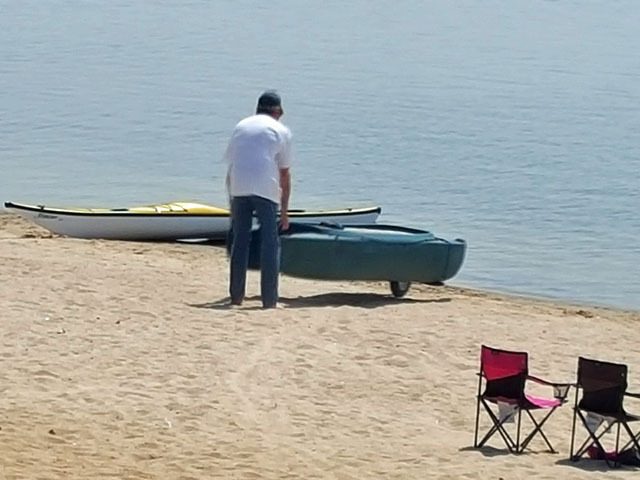 But now I use an outboard motor on my W500 , and the only battery I use for my sonar is the Cabela’s Rechargeable 12-Volt Battery, come with the charger and last many trip before I have to recharge it. Great to see you enjoying your new W700! 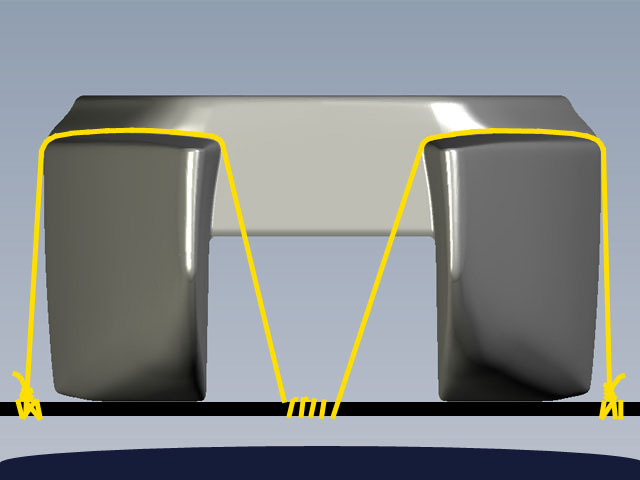 You may want to consider moving the tie-down straps just past the coaming at each end of the boat as the middle has the most flex.